Arizona Chow Chow Rescue View other Chow Chows for adoption. Ghost is no apparition. We think he is part Akita, part Chow. 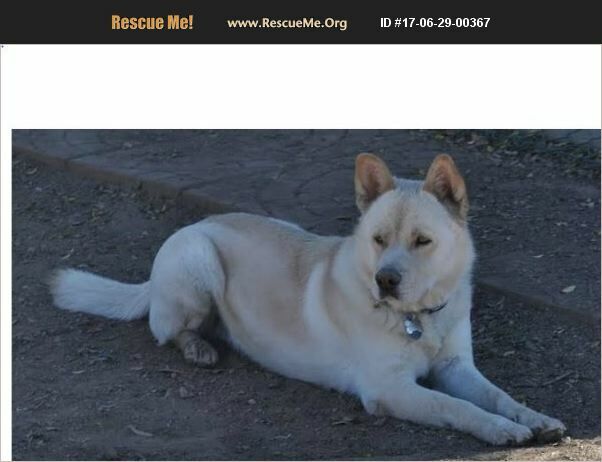 He has an Akita head, a Chow's black tongue and shorter legs, and stunning light yellowish eyes. Although he's got short legs, he's still Chow size of about 60 lbs. He's pretty calm and laid back, and he's met and done well with other dogs, but probably would prefer some female doggy companions. Ghost can be aloof at times (that's his Akita + Chow heritage), and other times outgoing, but always friendly. He's about 5 years old. See all our dogs @ www.AkitaAdvocates.org. When emailing, include the best phone number to reach you. Let's talk!